Most of us see herd dominance as a line–alpha to the “bottom.” It’s a limited one-dimensional view. When was any life ever that simple? Too much notice is given to differences. 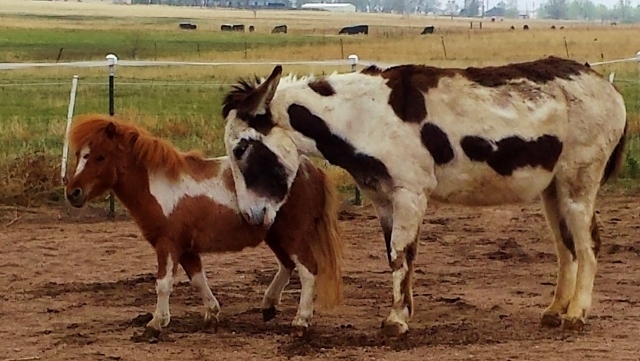 In the barn herd, members are connected, even as individuality blossoms. Opposites attract. Temperaments change over the years. Alliances come and go. And when someone separates, the entire herd feels that loss. You already know the next part, right? ← Goats: A Different 12 Step Program. Lovely photo..of two precious ones! I’m afraid of your question. Does that mean the Old One died? I was speaking of the past and future… I have a few elders here and they are holding on for now. The Grandfather Horse has a new ailment, but today was a good day.